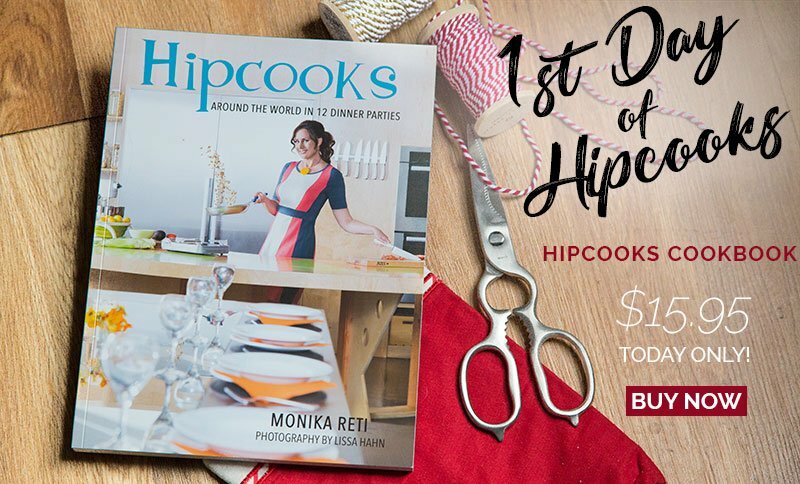 A Hipcooks Cookbook, at 25% off! This 160-page cookbook is full of beautiful photographs (every recipe has a photo! ), and Hipcooks Style. Join us and travel the world, learning to create fabulous meals along the way!